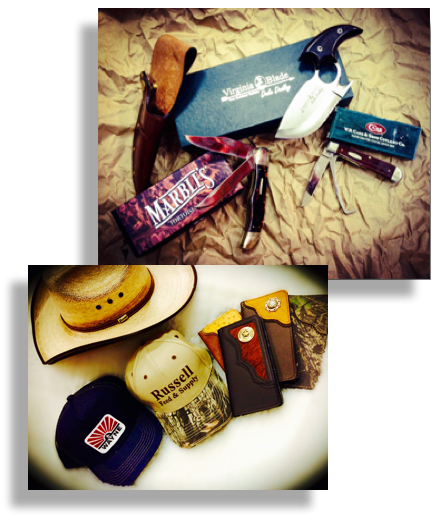 Celebrate Dad with Gifts from Russell Feed! Father’s Day is Sunday, June 21st! Russell Feed & Supply stores have a variety of unique gift ideas for Dad! High quality collectible knives from Case, Virginia Blade, and Marbles as well as Atwood Cowboy Hats, Wayne caps and fine leather accessories. And, Deer feeders and wild bird supplies also make wonderful gifts for Father’s Day. Visit one of our seven Fort Worth area locations today for our selection of Dad-worthy gift ideas! This entry was posted on Sunday, May 31st, 2015 at 9:00 am	and is filed under Events, News & Updates. You can follow any responses to this entry through the RSS 2.0 feed. Both comments and pings are currently closed.